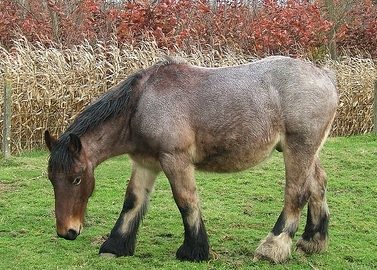 Grazing is the mainstay of a horse’s diet. But there are times when grazing is not available and you must purchase hay to make up for the deficiency. 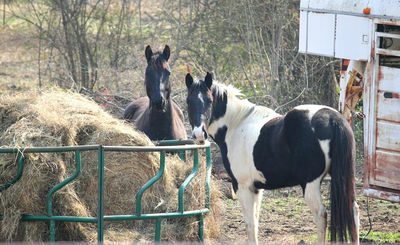 Once you’ve decided on the type of hay that’s right for your horse, another question arises. Should you soak the purchased hay and in the process, change some of its makeup and the amount of nutrients. If the hay has not been grown or harvested under the best conditions, there could be dust and/or mold in it. Dust can cause respiratory problems or worsen existing ones. Mold can also cause respiratory diseases and digestive problems too, such as colic. Research has proven that soaking the hay reduces dust and mold. Some horses on restricted carbohydrates and low sugar diets due to laminitis or insulin problems may do better with hay that is soaked. Soaking removes some sugars and also reduces some minerals as well as proteins. Horses on special diets can do better with less of these nutrients. The amount of time soaking the hay depends on what you are aiming for. Soaking for 10 minutes can greatly reduce the dust particles that cause respiratory problems. Longer periods of soaking affect the amount of sugar and nutrients in the hay. Soaking time recommended for nutrient reduction is 30 to 60 minutes. Since sudden changes in diet can upset the horse’s digestion, it’s best to introduce the soaked hay gradually. If the available hay fulfills your horse’s needs, then soaking is unnecessary. It can be time consuming, difficult to handle large bales and there would be no additional benefit. It is VERY important to feed soaked hay immediately after soaking to prevent the growth of mold.